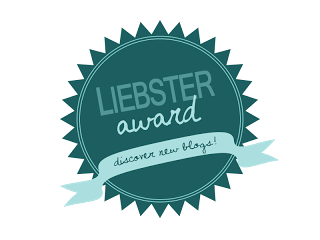 The Lovely Zoe over at Maddie Bug and I has nominated me for a Liebster! I am truly chuffed, I've had one before but not for ages so it's lovely to be considered again. For anyone who doesn't know what a Liebster is, here's the gist of it. It's an award for bloggers with fewer than 200 followers recorded to the blog (Bloglovin etc) who you think is great for what ever reason. It's a great way to get to know other bloggers in the same range as yourself and share other great bloggers you follow. As with all bloggy awards there are "rules" you should stick to so that this award continues to do it's job. 1. What is the sole purpose of your blog? It's changing! All the time! It's started off as a diary, then turned into somewhere I came to vent, then it became a journal blog of my marriage and motherhood - which it still is - but now with reviews and such chucked in. 2. Which social network is your favorite? Ooooh! Too easy to say Facebook, because it is so easy to use. But more and more I am using Google+! I have 3 right now, True Blood, Game of Thrones and Dexter! 4. What is something unique about you that a lot of people may not know? I have a secret passion for cheap, girly romance novels. I hide them behind my other books! 6. What is your favorite makeup product? Eye liner & mascara! Any brand. I am rarely seen without lashings of both! 7. What is in your purse right now? 8. What is your favorite quote or motto? 9. If you could only shop at one store for the rest of your life, what would it be? 10. What is your favorite post on your blog that you have done? Where have all the Grownups Gone? What's the craziest thing you ever did with your hair? What is your funniest or favourite blog post? Have you ever done anything so embarrassing you daren't blog about it? If we went out for lunch together, where would we go and what would you order?